This year we are streamlining the process at the front gate. There are no additional costs for USAC Insurance/Pit Bands compared to years past. Step 1. 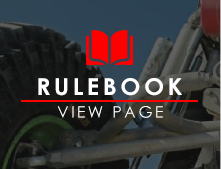 Purchase your insurance at www.ultra4license.com If you’ve already done this for the 2017 season, proceed to step 2. This is the same process we had last year. Please note: Annual licenses will only be available online. Only single use licenses will be available on the lake bed and the price on site is $25 more than online for a single use license. Step 2. Get your receipt (QR Code) for your driver/co-driver/rider band and Hammertown Parking Stickers by visiting www.u4tracpass.com This is a similar process to attending a sporting event or a concert. You need to login to get your receipt to show at the gate for entry. 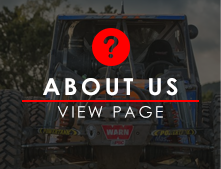 PLEASE NOTE: It takes 24 hours after you’ve registered at ultra4license.com for your email to work at U4tracpass.com. 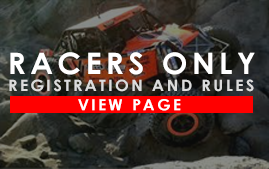 After 24 hours, go to u4tracpass.com and USE THE SAME EMAIL ADDRESS YOU USED AT ULTRA4LICENSE.COM Select Licensed Competitor entry. Select driver or co-driver. There is NO additional cost for this once you enter your email address! The $150 listed is there simply to detract Joe Customer from wanting to buy a competitor band without insurance. PLEASE HIT APPLY! You should NOT be charged the $150 if you don't see this deducted, try applying your email code again. You should not need to enter your credit card information if you are just getting your wrist band and 5 coupon codes! Step 3. Order any additional Hammertown Parking passes your team may need before checking out. This is very important. Your email is a one-time use on u4tracpass.com! Once you’ve used your email address you cannot use it again to purchase additional hammertown parking stickers in advance! * Only USAC-licensed drivers, co-drivers and Pit Crew members can purchase hammertown parking passes. If you have a USAC band you can purchase more parking stickers at the reg tent during registration hours. Step 4. Bring your Printed/Texted/Emailed receipt with QR Codes (scannable square box) to the front gate! Show your code to the front gate attendant and receive your parking stickers/wrist bands. Step 5. Get yourself moved into your pit area and then go visit registration tent (big tent) during registration hours to receive your full driver packet with course downloads /maps/receipt for yellowbrick tracker, etc. *If you’ve already purchased multiple licenses under one email address, you can login additional times with the same email address by adding a 2,3,4 or 5 to the end of the email until you’ve received all your competitor receipt/QR Codes. Example: [email protected] will get your first license, [email protected] will get you access to 2nd license. This only works for those that have already purchased multiple 2017 licenses under one address. Step 1. 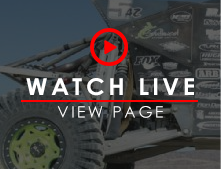 Purchase your Pit Band at www.ultra4license.com. If you purchase a pit band you do not need a separate spectator band. If you’ve already done this for the 2017 season, proceed to step 2. This is the same $25 price as years past, but we are doing it through USAC now and offering an option for an annual Pit Pass for those that come to many races. Please note: Annual licenses will only be available online. You cannot purchase an annual pit crew license on site. Only single use licenses will be available on the lake bed. Step 2. Get your receipt (QR Code) for your pit crew band and purchase Hammertown Parking Stickers by visiting www.u4tracpass.com This is a similar process to attending a sporting event or a concert, when you need to login to get your receipt to show at the gate for entry. 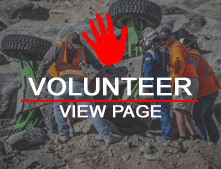 PLEASE NOTE: It takes 24 hours after you’ve registered at ultra4license.com for your email to work at www.u4tracpass.com . If you go immediately from one site to the other it will not work. 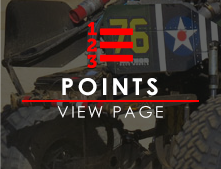 After 24 hours, go to u4tracpass.com and USE THE SAME EMAIL ADDRESS YOU USED AT ULTRA4LICENSE.COM Select Licensed Competitor entry. Select Pit Crew. There is NO additional cost for this! The $150 listed is there simply to detract Joe Customer from wanting to buy a competitor band without insurance. Step 3. Purchase any additional parking stickers before checking out! Your email is a one-time use on u4tracpass.com. Once you’ve used your email address you cannot use it again to purchase additional hammertown parking stickers in advance! * Only USAC licensed, drivers, co-drivers and Pit Crew members can purchase hammertown parking passes. If you have USAC band you can purchase more parking stickers during registration hours on site. Step 4. Bring your Printed/Texted/Emailed receipt with QR Codes (scannable square box) to the front gate! Show your codes to the front gate attendant and receive your parking stickers/wrist bands. *If you’ve already purchased multiple licenses under one email address, you can login additional times with the same email address by adding a 2,3,4 or 5 to the end of the email until you’ve received all your competitor receipt/QR Codes. Example: [email protected] will get you first license, [email protected] will get you access to 2nd license. This only works for those that have already purchased multiple 2017 licenses under one address. Tech info for those curious: A few drivers have noted that these links aren’t https, but http. 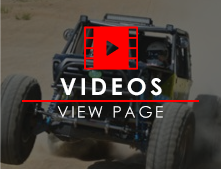 Kevin Miller, president of USAC, explained that both sites u4tracpass.com and ultra4license.com are front end landing pages to a secure backend run by webconnex. The payment aspect of the page is protected by webconnex security which is used by major companies all over the world.